Read about the recent alum application HAB performed at Heart Lake in Washington at http://heartlakealum.com. 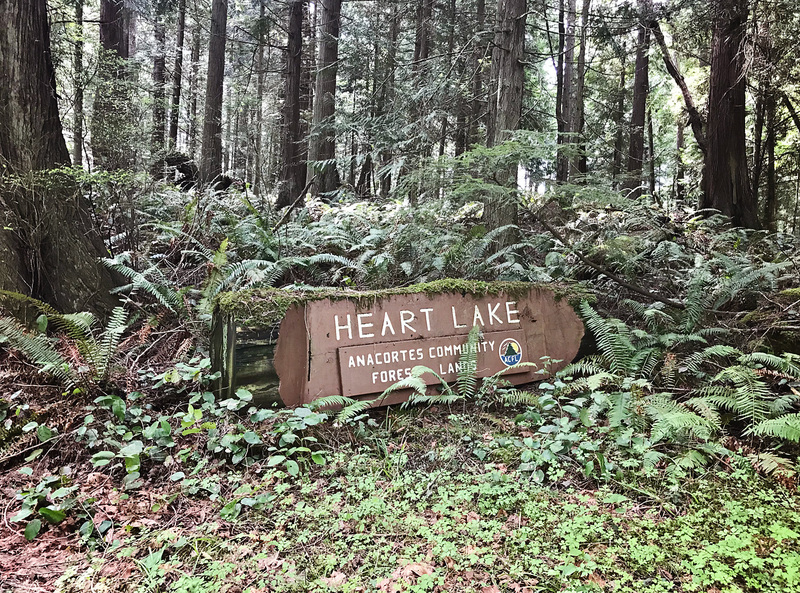 Heart Lake is a 64-acre lake located two miles south of the City of Anacortes, WA and serves as the headwaters of the Ace of Hearts Creek, which ultimately flows into Fidalgo Bay. The heart-shaped lake is rich with nutrients and is very biologically productive. Heart Lake is a highly valued recreational resource that supports swimming, boating and fishing activities. However, the high nutrients have led to excessive amounts of algae and plants that interfere with the use of the lake. In fact, toxic blooms of cyanobacteria (blue-green algae) have caused closure of the lake to due to the public health risk in 2012, 2013 and 2014. It is the concentration of the nutrient phosphorus which controls the level of algae growth. The objective of most successful lake management projects is to lower the lake water column phosphorus concentrations, which in turn lowers the amount of algae. Comprehensive studies by Herrera Environmental Consultants documented that a substantial amount of phosphorus has accumulated in the lakebed sediments over the years. The sediments release the phosphorus when conditions are right at the lake bottom. This leaching of phosphorus from the lakebed is called internal loading and ultimately increases the amount of phosphorus available for algal uptake and growth. Samples from the bottom of the lake confirmed that phosphorus was very high in the sediments and available to be released into the overlying water column. HAB Aquatic Solutions conducted an alum application over a two-day period in April 2018. The goals of the project were to dramatically reduce the internal loading of phosphorus from the sediments, lower the amount of phosphorus in the water column, reduce the amount of algae and potential toxins and improve the recreational opportunities for lake users.